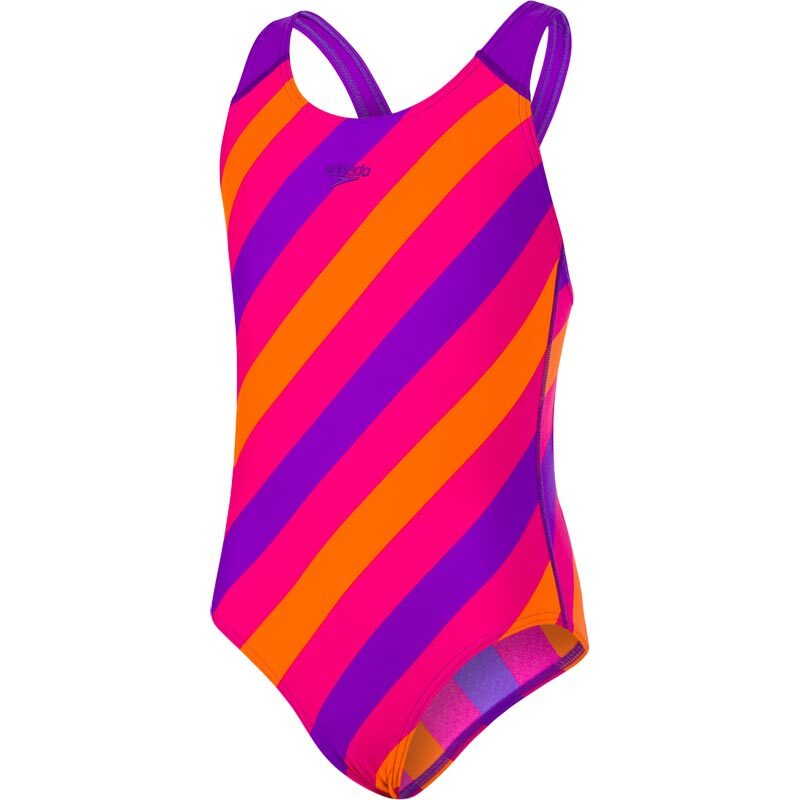 Liven up swim competitions in the Speedo ® Girls Allover Splashback Swimsuit, featuring a colourful strip design. High stretch fabric and a splashback style that gives swimmers flexibility and freedom of movement, whilst the soft Endurance10 fabric is engineered to retain it's shape. Quick dry - dries faster after swimming.